New York USA -- The patient sat with his eyes closed, submerged in the rhythm of his own breathing, and after a while noticed that he was thinking about his troubled relationship with his father. 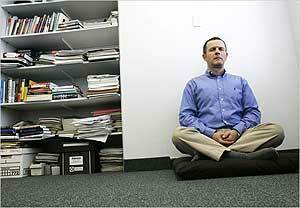 << ANXIETY AID - Zindel Segal, a psychologist, demonstrating meditative therapy. This exercise in focused awareness and mental catch-and-release of emotions has become perhaps the most popular new psychotherapy technique of the past decade. Mindfulness meditation, as it is called, is rooted in the teachings of a fifth-century B.C. Indian prince, Siddhartha Gautama, later known as the Buddha. It is catching the attention of talk therapists of all stripes, including academic researchers, Freudian analysts in private practice and skeptics who see all the hallmarks of another fad. For years, psychotherapists have worked to relieve suffering by reframing the content of patients’ thoughts, directly altering behavior or helping people gain insight into the subconscious sources of their despair and anxiety. The promise of mindfulness meditation is that it can help patients endure flash floods of emotion during the therapeutic process — and ultimately alter reactions to daily experience at a level that words cannot reach. At workshops and conferences across the country, students, counselors and psychologists in private practice throng lectures on mindfulness. The National Institutes of Health is financing more than 50 studies testing mindfulness techniques, up from 3 in 2000, to help relieve stress, soothe addictive cravings, improve attention, lift despair and reduce hot flashes. Some proponents say Buddha’s arrival in psychotherapy signals a broader opening in the culture at large — a way to access deeper healing, a hidden path revealed. Yet so far, the evidence that mindfulness meditation helps relieve psychiatric symptoms is thin, and in some cases, it may make people worse, some studies suggest. Many researchers now worry that the enthusiasm for Buddhist practice will run so far ahead of the science that this promising psychological tool could turn into another fad. 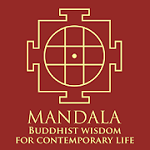 Buddhist meditation came to psychotherapy from mainstream academic medicine. In the 1970s, a graduate student in molecular biology, Jon Kabat-Zinn, intrigued by Buddhist ideas, adapted a version of its meditative practice that could be easily learned and studied. It was by design a secular version, extracted like a gemstone from the many-layered foundation of Buddhist teaching, which has sprouted a wide variety of sects and spiritual practices and attracted 350 million adherents worldwide. In transcendental meditation and other types of meditation, practitioners seek to transcend or “lose” themselves. The goal of mindfulness meditation was different, to foster an awareness of every sensation as it unfolds in the moment. Dr. Kabat-Zinn taught the practice to people suffering from chronic pain at the University of Massachusetts medical school. In the 1980s he published a series of studies demonstrating that two-hour courses, given once a week for eight weeks, reduced chronic pain more effectively than treatment as usual. In the 1990s, Dr. Linehan published a series of studies finding that a therapy that incorporated Zen Buddhist mindfulness, “radical acceptance,” practiced by therapist and patient significantly cut the risk of hospitalization and suicide attempts in the high-risk patients. Finally, in 2000, a group of researchers including Dr. Segal in Toronto, J. Mark G. Williams at the University of Wales and John D. Teasdale at the Medical Research Council in England published a study that found that eight weekly sessions of mindfulness halved the rate of relapse in people with three or more episodes of depression. With Dr. Kabat-Zinn, they wrote a popular book, “The Mindful Way Through Depression.” Psychotherapists’ curiosity about mindfulness, once tentative, turned into “this feeding frenzy, of sorts, that we have going on now,” Dr. Kabat-Zinn said. Mindfulness meditation is easy to describe. Sit in a comfortable position, eyes closed, preferably with the back upright and unsupported. Relax and take note of body sensations, sounds and moods. Notice them without judgment. Let the mind settle into the rhythm of breathing. If it wanders (and it will), gently redirect attention to the breath. Stay with it for at least 10 minutes. After mastering control of attention, some therapists say, a person can turn, mentally, to face a threatening or troubling thought — about, say, a strained relationship with a parent — and learn simply to endure the anger or sadness and let it pass, without lapsing into rumination or trying to change the feeling, a move that often backfires. One woman, a doctor who had been in therapy for years to manage bouts of disabling anxiety, recently began seeing Gaea Logan, a therapist in Austin, Tex., who incorporates mindfulness meditation into her practice. This patient had plenty to worry about, including a mentally ill child, a divorce and what she described as a “harsh internal voice,” Ms. Logan said. Steven Hayes, a psychologist at the University of Nevada at Reno, has developed a talk therapy called Acceptance Commitment Therapy, or ACT, based on a similar, Buddha-like effort to move beyond language to change fundamental psychological processes. For all these hopeful signs, the science behind mindfulness is in its infancy. The Agency for Healthcare Research and Quality, which researches health practices, last year published a comprehensive review of meditation studies, including T.M., Zen and mindfulness practice, for a wide variety of physical and mental problems. The study found that over all, the research was too sketchy to draw conclusions. Therapists who incorporate mindfulness practices do not agree when the meditation is most useful, either. 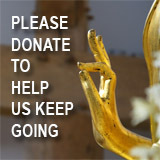 Some say Buddhist meditation is most useful for patients with moderate emotional problems. Others, like Dr. Linehan, insist that patients in severe mental distress are the best candidates for mindfulness. A case in point is mindfulness-based therapy to prevent a relapse into depression. The treatment significantly reduced the risk of relapse in people who have had three or more episodes of depression. But it may have had the opposite effect on people who had one or two previous episodes, two studies suggest. The mindfulness treatment “may be contraindicated for this group of patients,” S. Helen Ma and Dr. Teasdale of the Medical Research Council concluded in a 2004 study of the therapy. Since mindfulness meditation may have different effects on different mental struggles, the challenge for its proponents will be to specify where it is most effective — and soon, given how popular the practice is becoming. The question, said Linda Barnes, an associate professor of family medicine and pediatrics at the Boston University School of Medicine, is not whether mindfulness meditation will become a sophisticated therapeutic technique or lapse into self-help cliché. “The answer to that question is yes to both,” Dr. Barnes said. The real issue, most researchers agree, is whether the science will keep pace and help people distinguish the mindful variety from the mindless.